Posted on March 8, 2013	by Derek "Gamer Crash"
For those of you waiting for good news to come from the launch fiasco of SimCity, you may be waiting a bit longer than expected. It seems as the days go by, things get progressively worse for the city building simulator game. At the time of this post, the servers are still not functioning as intended. While some people are able to play, there’s a good majority who are running into oddities, frozen screens, or just are unable to connect to EA’s servers. With the international launch looming and these issues still a major problem, EA has begun to disable “non-critical” features to try to improve server stability including leaderboards, achievements, region filters, and from what I’m hearing: cheetah speed. EA is also adding new servers to try to take pressure off the existing ones over the next two days. As if that’s not bad enough, Amazon has stopped selling the game due to the amount of complaints they’ve received over the title. 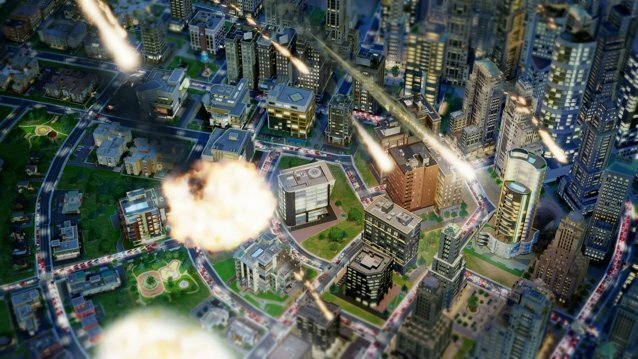 Angry would-be mayors have also managed to drop SimCity’s metacritic rating all the way down to 1.7. Polygon has even shifted their review score a few times to accommodate the game’s current hardships. Yes, it’s brutal out there and I can’t say I blame people who have spent 60 bucks on a game they can’t play. I think at this point, I’d advise people to stay clear of the game for now until the situation has worked itself out. I believe it was Batman that taught us that it’s always darkest before the dawn so…you know…maybe that applies here or something…. I really have to admit that at this point, I feel pretty bad for the developers over at Maxis. I mean, picture it, you spend countless hours a day for over two years on a product you love and believe in only to see the release get botched and everything quickly fall apart. Customers are pissed, developers are scrambling 24 hours a day to get this fixed, and retailers are beginning to pull the game to protect consumers. It’s really bad out there and I hope the upswing is coming soon for the sanity of everyone. This entry was posted in News and tagged news, PC. Bookmark the permalink.